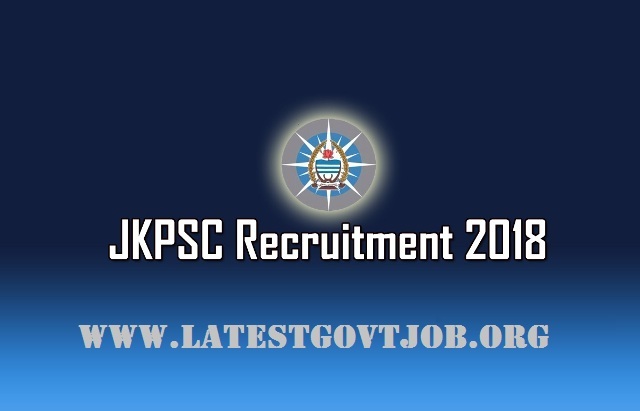 JKPSC Recruitment 2018 for Medical Officer 39 Vacancies | Apply Online @www.jkpsc.nic.in : Jammu & Kashmir Public Service Commission (JKPSC) has released a notification for the recruitment of 39 Medical Officers. Interested candidates may check the vacancy details and apply online from 15-03-2018 to 16-04-2018. General/UR/OBC candidates have to pay Rs. 805 and SC/ST candidates have to pay Rs. 405 through online mode using Net-banking/Credit or Debit Card. Interested and eligible candidates may apply online through JKPSC website - http://www.jkpsc.nic.in/ - from 15-03-2018 to 16-04-2018 OR candidates may also send their application form along with the photocopies of relevant documents and two passport size photographs to the office of the Commission at J&K Public Service Commission, Resham Ghar Colony, Bakshi Nagar, Jammu/Solina, Srinagar before 18-04-2018.